You'll be £19.99 closer to your next £10.00 credit when you purchase Companion to the Anglo-Zulu War. What's this? The Anglo-Zulu War was a defining episode in British imperial history, and it is still a subject of intense interest. The Zulu victory at Isandlwana, the heroic British defence of Rorke's Drift and the eventual British triumph are among the most closely researched events of the colonial era. In this historical companion, Ian Knight, one of the foremost authorities on the war and the Zulu kingdom, provides an essential reference guide to a short, bloody campaign that had an enduring impact on the history of Britain and southern Africa. He gives succinct summaries of the issues, events, armies and individuals involved. His work is an invaluable resource for anyone who is interested in the history of the period, in the operations of the British army in southern Africa, and in the Zulu kingdom. For a minor colonial war, the campaign against the Zulu fought between January and September 1879, probably takes all the prizes for the library it has assembled. The British historical reading public, no doubt in some way influenced by the 1964 film, Zulu, continue their insatiable appetite for all manner of publications written by numerious authors whose knowledge of their subject ranges from passing to encyclopaedic. 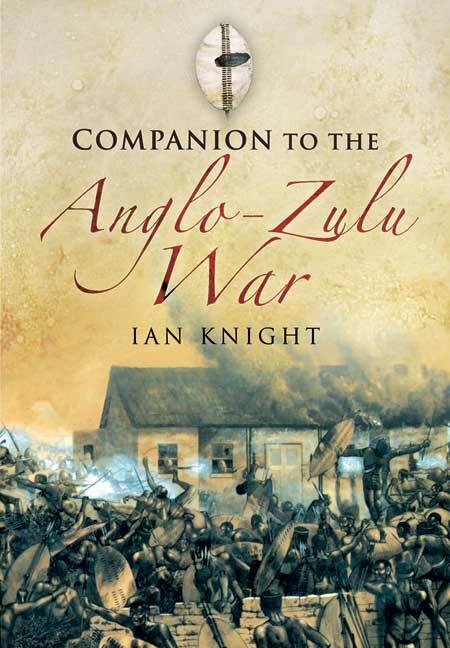 Whilst Ian Knight's previously published work, "Who's Who in the Anglo Zulu War 1879" gave the reader the complete guide to key personalities during the campaign; this latest title gives the reader an A to Z of what, where and why of the conflict. This is a gem of a book; albeit one that the reviewer suspects could have been considerably longer. Starting with a short glossary of Afrikaans and isiZulu terms used here and there follows a chronology of the main events; then comes a comprehensive account of the conflict (including some useful black and white maps) before the main thrust of the book, a dictionary style 'companion'. This sets out in alphabetical order a huge array of subjects related to the fight against the Zulu, ranging from Ammunition Boxes through to Zulu Royal Household. In between are intriguing and fascinating topics such as disembowelling, Food (Zulu) and No Quarter, Total War in Zululand?. Each entry is detailed, well written and thoroughly researched; some submissions extend to several thousand words. The book's endnotes are comprehensive. There is also a very useful section of further reading; selected for their worth in any particular field relating to the War. Because of the dictionary style of the book, it is not indeed. This is a superb piece of research and represents an excellent and absorbing knowledge base, but its very nature, one suspects it is a book for the more dedicated enthusiast of Victorian colonial warfare. If the Anglo-Zulu is 'your thing', Knight's companion is a must have. As an after note, mention should be made of Professor John Laband's similar work, "Historical Dictionary of the Zulu Wars", published by The Scarecrow Press, Oxford, 2009. Whilst Laband's 381 page work covers a far broader span of Zulu history; encompassing the period 1838 to 1888, it deals with Zulu civil wars as well as the Zulu's wars fought against the British and the Boers. It is written by the foremost academic on the subject of Zulu history and benefits from his vast knowledge and analytical research. The book's comprehensive bibliography is particularly valuable for those wishing to read further on the many subjects covered. However, it is unquestionably an outstanding book, the £50 cover pice does mean that its cost will preclude most interested in the subject. A great book, full of the unexpected, yet covering the main themes admirably. Useful to any gamer setting out on his first steps in the Anglo Zulu war, and a treat for those who know a great deal, but just want to know yet more. Highly recommended. This is a fresh, entertaining and very comprehensive look at many different aspects of the war which is a fitting tribute to more than thirty years study by the author, and it is already being hailed as the Anglo-Zulu War enthusiastsâ€™ Bible - and rightly so. There are some previously unpublished illustrations included and a rather striking cover - and for once you can judge a book by the cover.